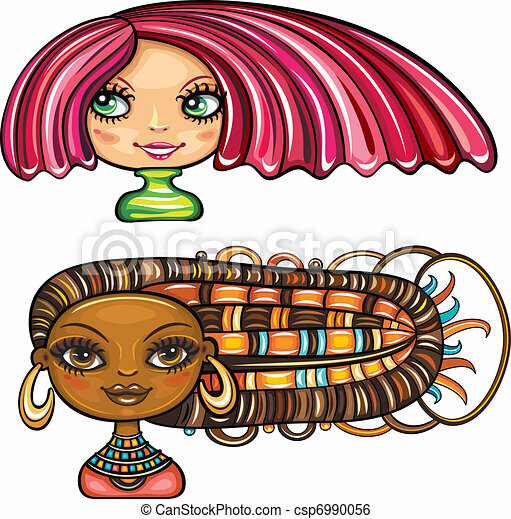 2 cool hair styles on beautiful girls: Chic girl with a short stylish haircut with bright pink high lights, and African american cute girl with colorful braids and original ethnic jewelry. 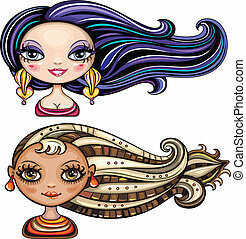 Vector illustration: 2 cool hair styles on beautiful girls: Beautiful exotic brunette with long rich hair. smoky eyes make up and fine jewelry. 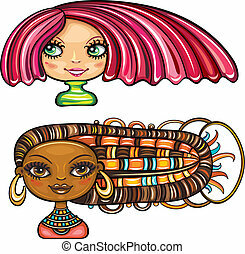 Tanned exotic girl with beautiful stylish braids in calm tones, and original ethnic jewelry. 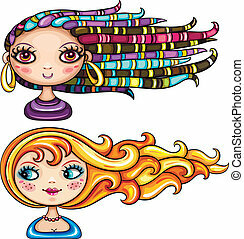 Vector illustration 2 cool hair styles on beautiful girls: Chic girl with a short stylish haircut with bright pink high lights. 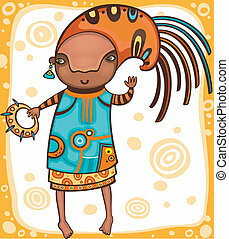 African american pretty girl with colorful braids and original ethnic jewelry. 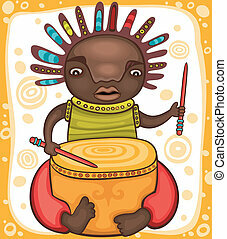 Colorful portrait of the African drummer with dreadlocks. 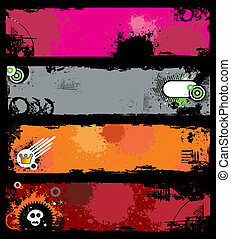 Colorful portrait of the dancing African girl with ethnic musical instrument.